Chocolate Chip Cinnamon muffins are so light and fluffy thanks to buttermilk. The flavor combo of the warm cinnamon with the chocolate chips is incredible! Happy Sunday! It is bright and sunny here in NYC, a nice change from yesterday when it snowed literally the entire day. 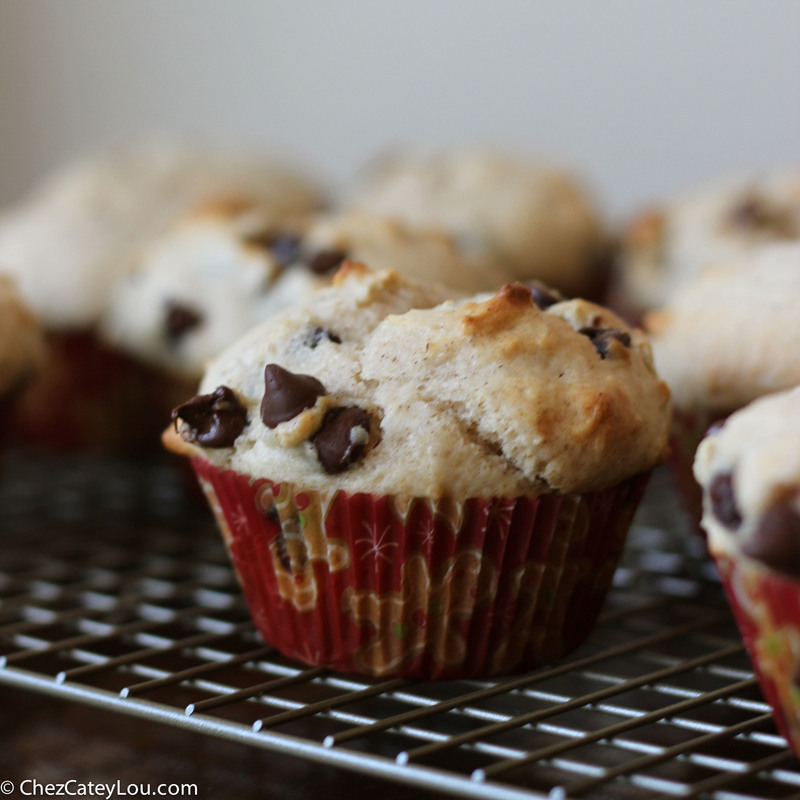 But I didn’t mind – it gave me an excuse to bake the day away, starting with these chocolate chip cinnamon muffins. Not that I need an excuse to bake all day Plus when you’re all warm and cozy inside, the snow is so pretty. It made the city look so calm and peaceful. It wasn’t quite as pretty and peaceful when I left to go out to dinner. The streets were not plowed, so let’s just say our cab did not have the easiest time driving! Ah the joys of city living….